Asclepius Herbal Consultancy is a Herbal Medicine resource concept which has developed as a result of repeated enquiries requesting qualified support with natural product development, production, research and specialised education projects. 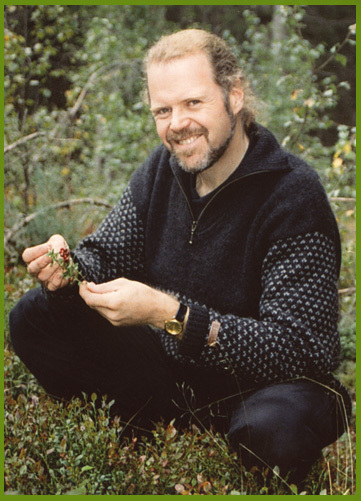 Asclepius Herbal Consultancy is headed by Medical Herbalist Ken Lunn and draws upon an extensive network of professionals within the natural product industry throughout Europe. This unique position enables us to offer expert support and advice on a wide range of issues related to natural medicines. Working as a consultancy partner, Asclepius Herbal Consultancy’s experience and expertise can complement your company’s profile, providing a qualified addition to your own expert team for addressing specialist topics related to production, marketing and product research within the field of Herbal and Aromatic Medicine. Ken blev uddannet på The School of Herbal Medicine i Syd England og har en Master of Science efteruddannelse fra Wales Universitet i Vestlig Medicinsk Urteterapi. Over de sidste 21 år har Ken beskæftiget sig professionelt med farmakognosi projekter og klinisk praksis, samt undervisning i sundhedsvidenskab og Medicinsk Urteterapi. Som underviser og foredragsholder har Ken arbejdet både i Danmark og udlandet, hvor han har bl.a. fungeret som gæsteforlæser og forsknings supervisor for BSc (Bachelor of Science) og MSc (Master of Science) studerende ved The Scottish School of Herbal Medicine/Wales University.